DOX SHOWCASE Run Time: 2 hours A showcase of some of the fest’s best films. 7 women living in an a small village in Iran, cooperate and decide to find a way to release their husbands from an 18 year prison sentence. An unflinching look at opium and its influence on rural life in Iran. While many ridesharing companies promote their model as an easy way for people with full-time employment to make some extra cash, there are some drivers that rely on these apps as their sole source of income. “Side Hustle” follows a weekend in the working life of one such driver, as he grinds out hours in Philadelphia to support himself and his baby son. This engaging film takes an honest everyday look into the emerging gig culture in the US. Milwaukee’s Daniel Hoan Memorial Bridge is the crown over Summerfest and has become one of the city’s most recognizable landmarks. But it’s also a popular site for suicides. This animated documentary explores the issues of the bridge and suicide through three intimate interviews. Follow animator, Aaron Johnson, as he shares the stories of Dave, John, and Mary. This film is a spellbinding mix of animation and interviews. Concrete Dreams follows suburban mother Paulina Jimenez, who dreams of funding a free public skatepark in her hometown Villa Park IL. The series follows the project’s struggles and triumphs over a from concept to its impact on the community. Part of a 3 part documentary series by former “Dox” award winners Nick Nummerdor and Andrew Morgan. 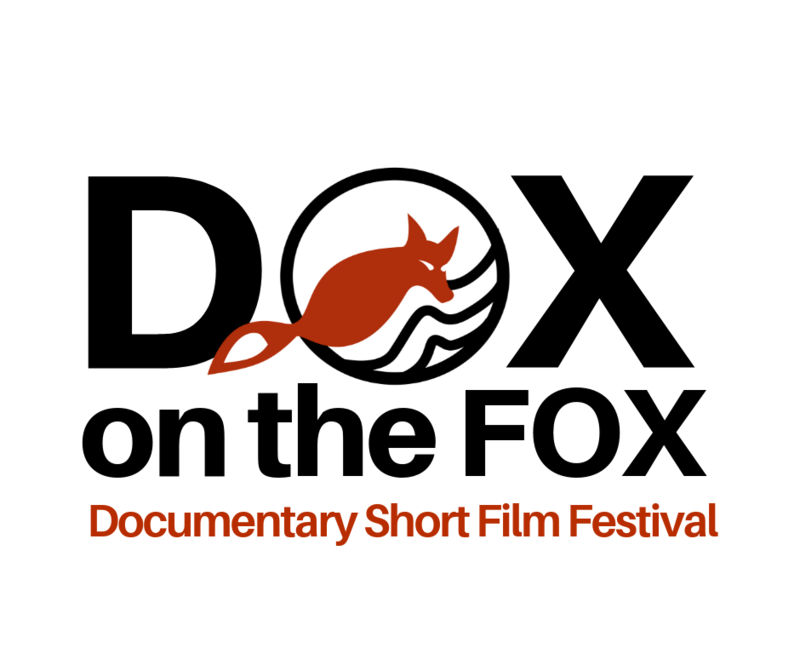 Every year “Dox” aims to screen a film that relates to the local community. This film tells the story of how a humble pedestrian bridge in Batavia, IL was transformed into the Peace Bride by a partnership between a local barber and the city. A short, animated film about exploring the insect world hidden in an Iowa tallgrass prairie. Created as part of Herbert Hoover National Historic Site’s 2017 Artist-In-Residence program in West Branch, Iowa. “When Kids Meet a Creature” invites viewers of all ages into the creative world of children. This short documentary film follows kids as they explore the enigma of an unknown creature through art and storytelling, imagining how to welcome this mysterious stranger into their hometown. Set in Pittsburgh Pennsylvania, the whimsical and participatory film reveals the surprising profundity of play. A young Guatemalan social worker works, despite his self-doubt, to give hope to young people living around the Guatemala City garbage dump, where hope is hard to find. After getting diagnosed with a super rare form of leukemia at 30, Justin’s doctor convinced him to donate sperm before starting an experimental cancer treatment. Without hesitation Justin walked into that sperm bank thinking he would just leave with a funny story. 10 years later he ended up with a lot more. A Japanese-American couple share their experiences being in the WWII Internment camps. Going to the Store is an experimental ‘hybrid’ documentary capturing how it feels to move through Middle-America’s consumer spaces. Gas stations. Strip malls. Fast food restaurants. Spaces to pass by and pass through, unremarkably. GOING TO THE STORE turns that movement on its head as it follows two Midwesterners on a surreal, panoramic tour into the prepackaged environment they inhabit, one Big Gulp and bag of Sunchips at a time. Sculptor Clete Shields is working on a statue of Willie Nelson for Capital Area Statues of Austin. With neither sufficient drinking water nor irrigation facilities, out of desperation, Bhimrao digs a well to quench his own as well as his farm’s thirst. This documentary portrays the people of Aagaswadi and their confrontation with drought and other adversities, as well as relations affected by it. All done in the shadows of green energy. Eye opening and highly cinematic. A small community outside of the Guatemalan city of Chiquimula share about their lives living by the city’s garbage dump. This film is a personal, poetical journey reflecting on mystery and mortality as a response to the encounter with a mysterious collection of tiny wooden coffins discovered in a cave on an extinct volcano in Edinburgh 200 years ago. A Vogue dancer performs at a Voodoo Carnival Ball, an important dance contest where he will have to prove himself to be accepted by the local ballroom community.